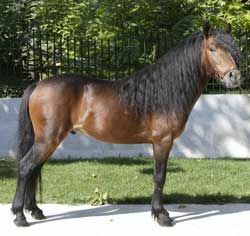 The Galician Horse is a small-statured horse breed originating in Galicia, located in the north-western part of Spain. 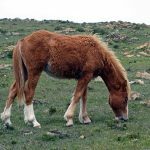 Being used as a war as well as an agricultural horse before, it is presently used for meat production and also as mounts for tourists. 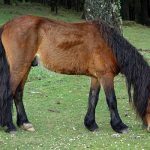 Physical Characteristics Has a short body, strong legs, straight profile, linear proportions, short back, round abdomen, and long forelocks often growing down to the muzzle. 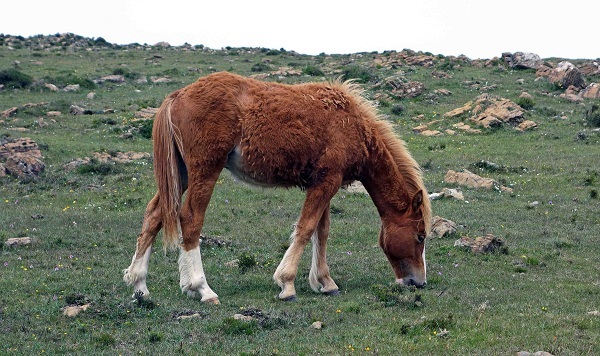 One of the three varieties (the older mares) has long mustaches appearing on their upper lips. 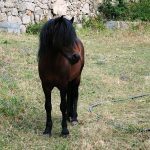 Of the various theories regarding the origination of the Galician horse, the most common one is that they are believed to be descendants of the small dark-colored equines brought in by the Celtics during the 6th century. 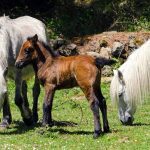 In the Middle Age, this breed was rented or exchanged for other kinds at the Galicia and Castile border because of their strong nature that made them easily adaptable to the rugged terrain. 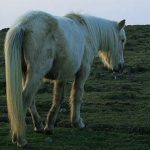 According to one study conducted in 1973, there were over 2000 Galician ponies freely roaming in the mountainous region of Spain, though their number has decreased because of sanitary concerns as well as low economic returns. 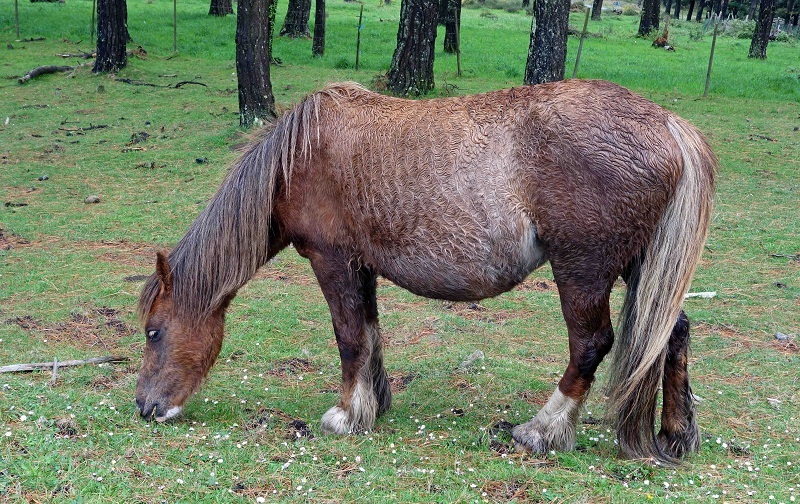 During the 1980s and 1990s, the safety of this breed became a concern as stallions of other breeds having increased meat-producing ability became more popular. 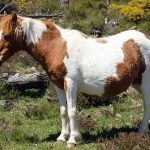 Therefore, the Xunta de Galicia improvised a plan for conserving this breed in the year 1993. 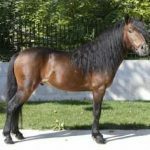 The outcome of this was the formation of an organization for this breed by the name “Asociación Pura Raza Cabalo Galego” in 1997, with these horses attaining official recognition in 1998. The stud book for them was eventually formed. 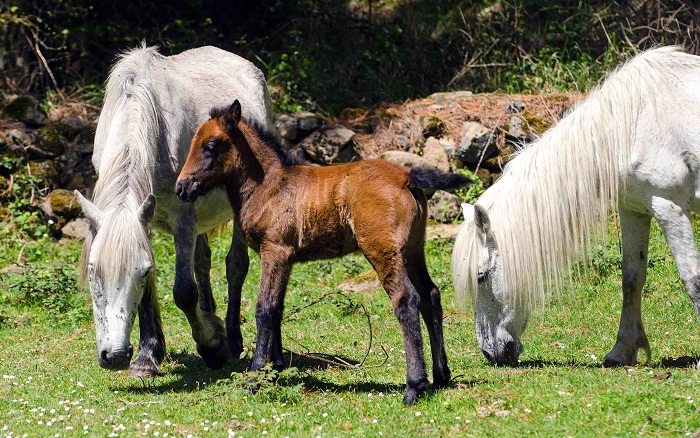 The government of Galicia protects this breed and also makes an attempt in raising their numbers. 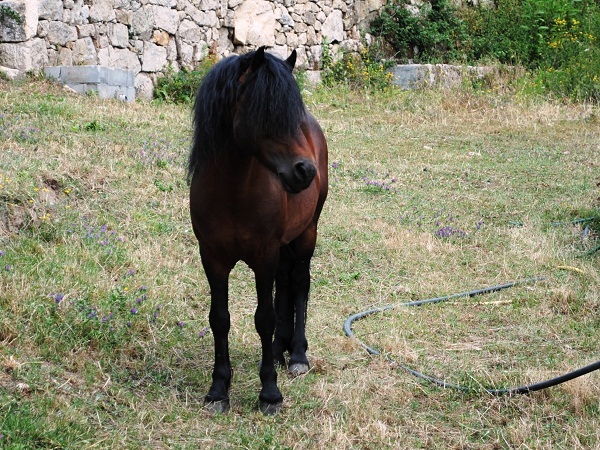 These horses are distributed all throughout Galicia, with a small number of them exported to Germany. 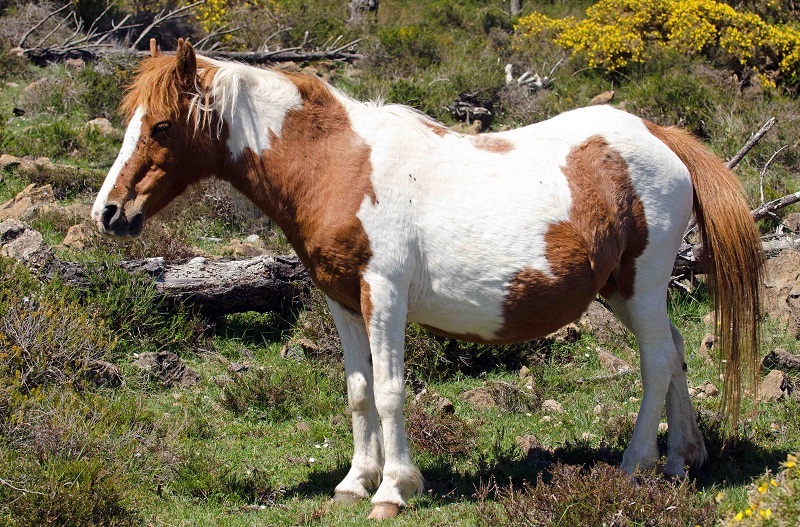 As of 2013, the total number of Galician horses count up to 1623. 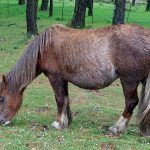 In the traditional festival of Galicia named A Rapa das Bestas ( The Shaving of the Beasts), these semi-feral breeds are accumulated mainly for the curro that takes place on all three days of the event in the evening. The males ( garanones), as well as the females ( bestas), are taken to a separate compound to have their manes chopped and also get their identification mark sealed on them. The purpose of doing so is to ensure their preservation. Some of the horses are sold off while the remaining are set free at the end of the festival. 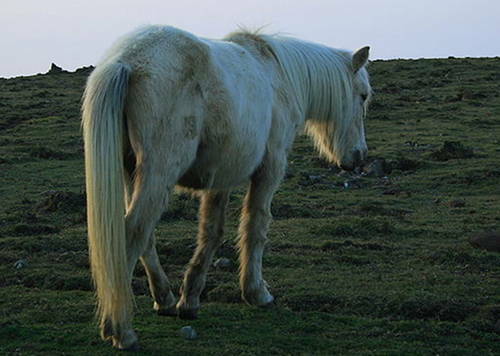 The Galician Pony is said to be instrumental in the development of the Mexican pony named Galiceno. 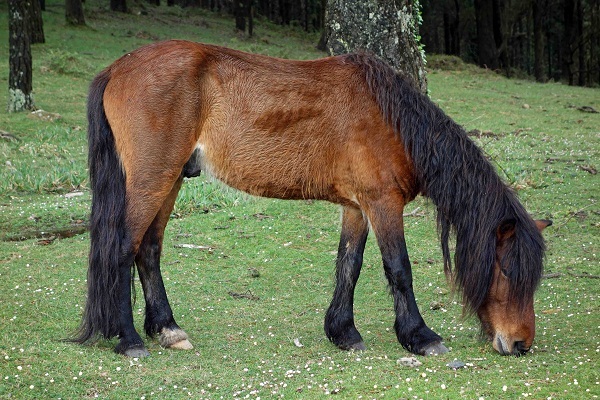 Previously their tails, manes, and forelocks were used for the purpose of making brushes.